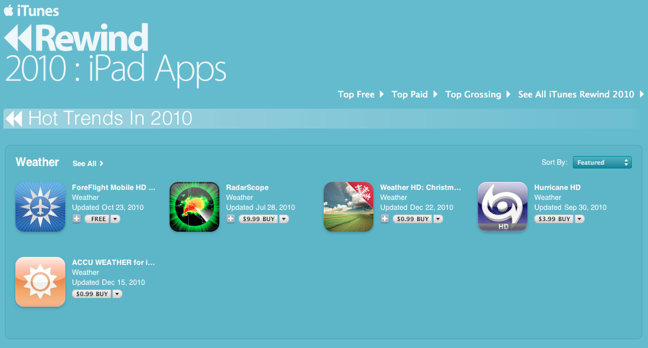 Apple recently released it’s 2010 Rewind lists, which rank the top free and paid applications. We’re excited, thankful, and grateful to all ForeFlighters for pushing ForeFlight HD to the top spot in the weather category for iPad apps. We look forward to a great 2011 and will start the year with some pretty killer new features for both iPhone and iPad.